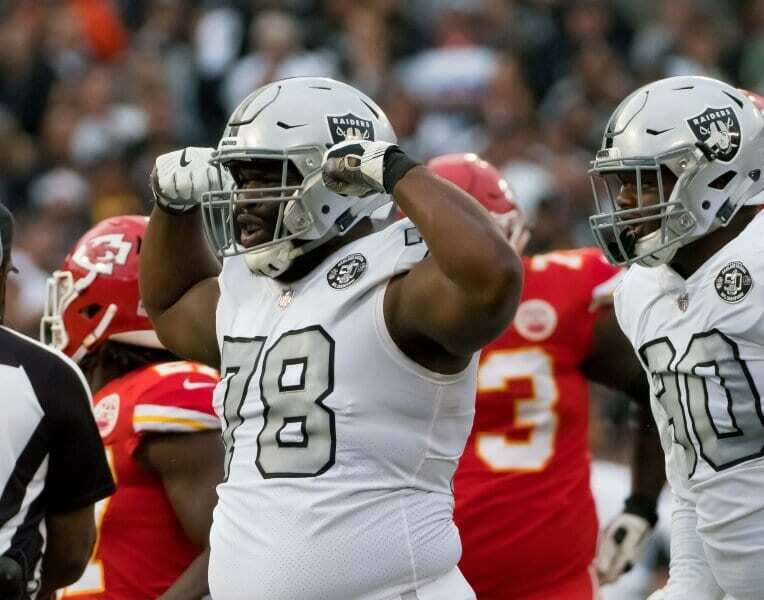 With the preseason nearly over and the regular season just around the corner, we turn our attention to the Oakland Raiders defense and special teams in Part 2 of our predictions regarding the 53-man roster. As a Raider fan, I can’t think of a time when the Raiders entered the season with more depth along the defensive line. Come the middle of the season, I think this group will feature up to eight high-end NFL players once the rookies have gotten a few games under their belt. You’ll also note that I’ve reserved a space here for Mack, who I still believe will be around once the games start (and his money comes due) — regardless of whether contract talks have progressed or not. For a group that has long been the team’s weakness defensively, it’s nice to see some new names amongst this group. Among the most exciting names to watch is the second year linebacker, Lee, who has seemed to take a massive step forward this preseason. If he can develop into a starting-caliber middle linebacker, it would answer a question the franchise has been asking for a long time. There’s a massive theme going on here in case you haven’t picked up on it yet: it’s safe to say that every group on the defensive side of the ball is in better — maybe even much better — shape than it has been for a while. If Conley stays healthy, he appears ready to become the Pro Bowler the Raiders hoped they were drafting last season. Alongside Conley is a newcomer in Melvin, whose breakout happened last season in Indianapolis, and who is out to prove that wasn’t a fluke. Once pegged to be a potential starter, I think Nelson’s chances of even making the team are dwindling. That said, as it stands, I think he earns the last spot (unless Rodgers-Cromartie really does shift to playing some safety). Aside from him, Gilchrist is a safe bet to start at one spot, while Joseph and Harris are battling for the strong safety position. As long as Pineiro stays healthy, Mike Nugent can pack his bags on cut day and hope that someone else is looking for a kicker. These are three guys the Raiders are probably hoping they can sneak onto their practice squad, although Brown especially seems unlikely to clear waivers. Cabinda, an undrafted free agent, has the advantage of offering a skill that seemingly none of the other linebackers offer: the ability to play well in coverage, and that could earn him a spot on the roster for Week 1. Victor, on the other hand, was the team’s sixth-round pick this season but was believed to be a bit ‘raw’ coming out of college.